I've always been keen to use a Sebatron preamp, but somehow the opportunity has never presented itself. I have several friends who own them and regard these Australian preamps most highly, but strangely, most of them are in the US, where Sebatron enjoys a reputation for high quality valve processors at a competitive price. Here in Australia, the company sells units largely by word of mouth, but its lack of vigorous advertising means the brand is less well known than its more famous foreign competitors. After finally getting my hands on one I can happily report the Sebatron VMP-2000eVU exceeded my expectations and represents excellent value for money, particularly within Australia. Refreshingly bereft of gimmicky bells and whistles, this two channel preamp combines the right features to deliver years of reliable, quality audio: good parts selection, good build quality and a design which is as close to plain wire as you can get for less than $2,000. The housing is ivory powder coated steel that offers the ergonomic appeal of a 2RU box with very few controls, making everything easy to reach and easy to read. 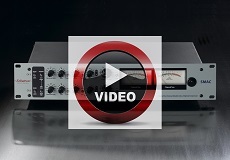 Each channel includes a transformer-balanced microphone input plus a DI input, individual phantom power with LED, passive shelving EQ filters, a 12AT7 vacuum tube gain stage, a switchable three-setting pad, a phase switch, a nice VU meter and a solid state, discrete Class A output stage. Opening the box reveals a sturdy fibreglass circuit board and a pleasing dearth of chips and surface mount devices. I was pleased to see the XLR in/out connectors are soft wired to the board via a connector instead of using direct PCB mounted XLR connectors. It seems like the VMP-2000eVU is more hand assembled than hand crafted (as per the sales pitch) but the assembly is fastidious for a unit in the sub-$2,000 price category. I would have liked to see more wire-to-wire and less connectors, but that would require a price increase that wouldn¡¦t necessarily improve the sound. Switching on the VMP2000eVU reveals a nice greenish glow from the VU meters, surely worth the extra $400 over the non-VU version! After giving the valves a good warm-up, the first thing I tried was electric bass. Wow! 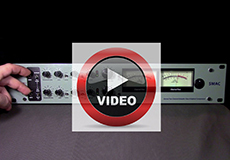 This preamp makes a great bass DI. The valves impart a big character, with plenty of colour, which remains pleasingly clean until driven quite hard (when typical valve distortion kicks in). Although I didn¡¦t have a drumkit handy, I could see this box being great for kick, snare and toms. Acoustic guitar was very clean at lower gain settings, becoming appropriately thicker as the gain was increased. 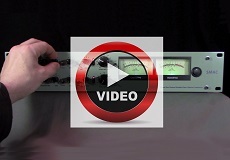 I also really enjoyed using this preamp in series with a speaker simulator for electric guitar. I used the Sebatron to record male and female vocals through a variety of FET and tube condensers plus some quality ribbon mics. Again, the VMP2000eVU remained quite transparent until it was driven hard, providing flattering vocal amplification and a warm character without being overly thickened by harmonic distortion. The four preset shelving filters come in very handy with vocals, allowing choice between flat/deep/low cut and flat/bright/air (providing a total of nine different combinations). The deep boost and low cut filters kick in below around 120Hz, bright appears to boost at 6 - 8kHz, while air emphasises ultra high frequencies up to (and apparently beyond) the limit of human hearing. I found the air setting to be particularly interesting on female vocals and I applaud Sebatron for providing these simple EQ options with the preamps they provide useful, practical tonal adjustment options without injuriously affecting the signal in the manner of a graphic or parametric EQ.